Hello everyone and welcome back. 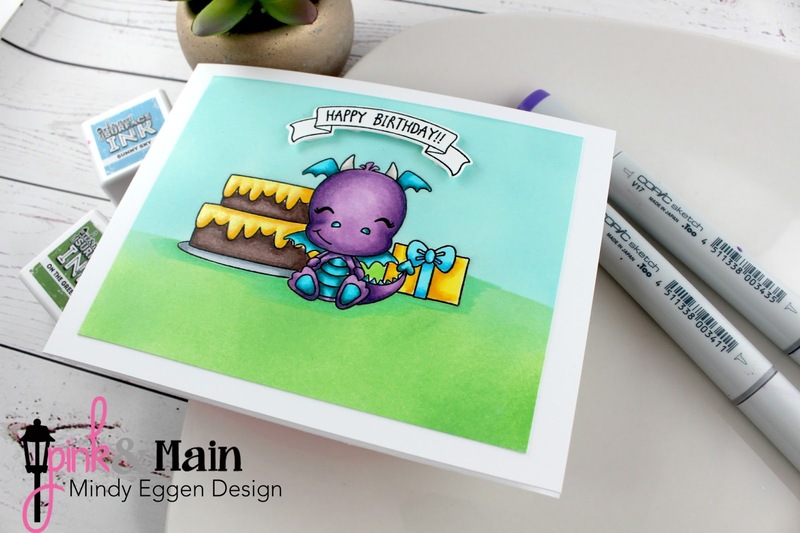 Today I have a card for you using some new birthday stamp sets from Pink & Main. I started off by creating masks for my images and stamping them onto Bristol Smooth cardstock. Did you know Pink & Main carries inks? They sure do! I used On the Grass and Sunny Sky for my background. Then I removed the masks and colored in my images with copic markers. 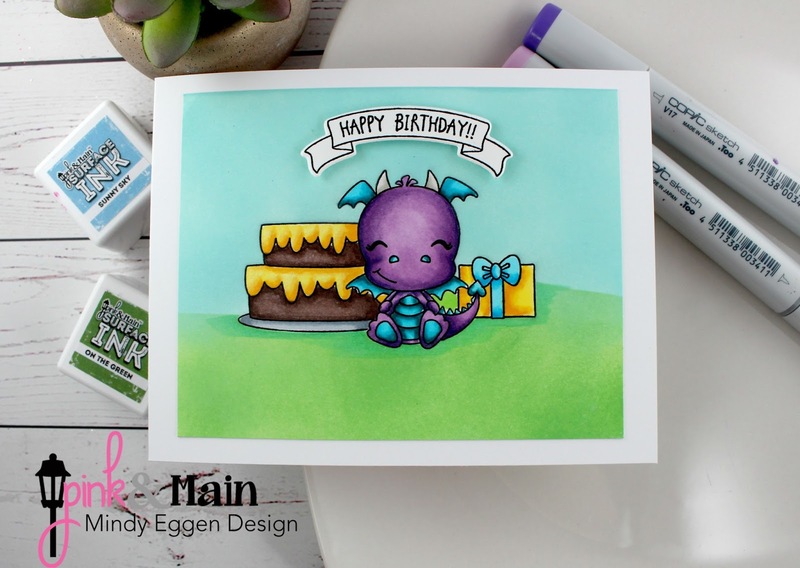 I added this sentiment banner from the Birthday Kids stamp set and cut out with the coordinating die. For a little dimension, I added foam squares to my banner. 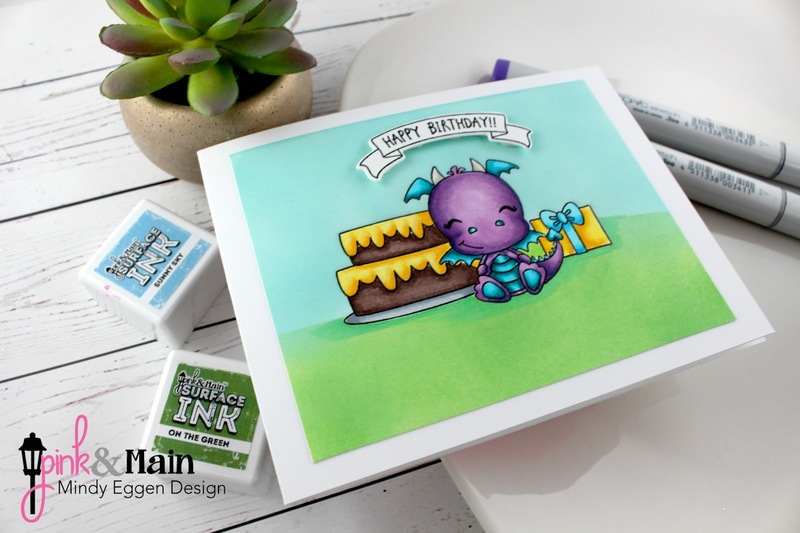 Your Next Stamp – DT Dare – What’s Up?